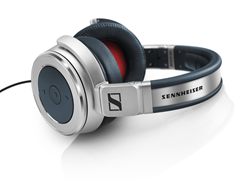 At the iF DESIGN AWARDS 2016 in Germany, Sennheiser’s cutting-edge HD 630VB has been honored with the prestigious iF Label in the Product Design category. The user can customize the headphones’ bass response via a rotary bass dial. At the iF DESIGN AWARDS 2016 in Germany, Sennheiser’s cutting-edge HD 630VB has been honored with the prestigious iF Label in the Product Design category. The closed audiophile headphones impressed the jury of 58 international design experts with their innovative and premium design. Altogether, the judges considered 5,295 entries by 2,458 participants from 53 countries.